Support Hero : Grandpa - Oldman Wizard - Creative Exchange - Mobile Legends: Bang Bang - Powered by Discuz! Age is not a limit, that's what a veteran magician says, Grandpa. Grandpa once saved the world once in the past and now he has to deal with the chaos that has occurred in the world of origin. Finding out the source of chaos, Grandpa traveled around the world meeting with heroes and powerful enemies. 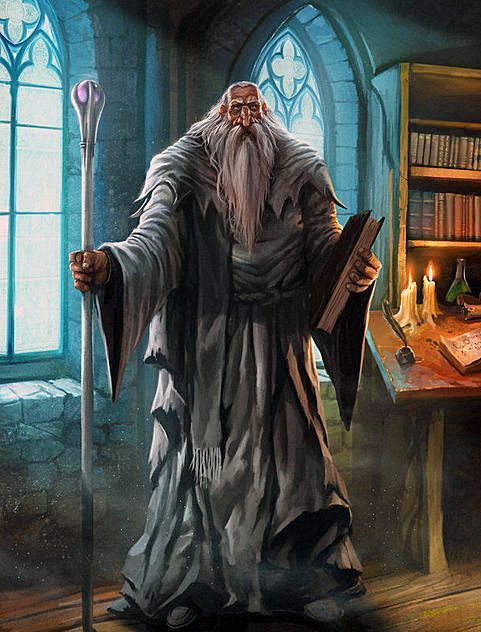 But for Grandpa it wasn't a problem, even though it was old but he could still cast a spell which at least helped the heroes and prevented the enemy from attacking. Until when Grandpa met Estes in the forest of Moon Elf, Estes the King of the Moon Elves told him everything. Grandpa who knew the incident intended to challenge Alice the Blood Demon. But Miya doubted Grandpa's abilities. Grandpa then went to the place where Lunox, Grock, Hylos and Belerick were. There Grandpa gets a lot of information, but Lunox is not sure of his decision and says it directly to Grandpa. Grandpa replied "You are a child now! Do you doubt the ability of this old man? Okay, grandpa will show something. " Not long after that in the Land of Dawn there was a great battle and at that time the Tigreal was fighting Thamuz. Grandpa then helped him with the spells he mastered, Thamuz was surprised by Grandpa's magic and made the Tigreal defeat Thamuz. But Alice appeared and blocked the Tigreal and managed to make Thamuz back for a while. With what happened earlier, Grandpa is increasingly convinced and eager to stop Alice and stop the next war that will occur in the future. * Grandpa is a veteran magician and reading magic books is his hobby. Every basic attack and Grandpa's skills have a unique passive. * Unique Passive: Book of Dispell - Every 6 seconds, Hero will chant a special spell by doing basic attack and giving a dispell mark to certain enemies for 2 seconds. As long as the dispell mark takes place, the enemy cannot use passive skills. This effect cannot be disappeared even by a hero who is immune to CC though. The basic attack also gives 10% of the maximum HP hero as Magical Damage. * Relocating certain positions with a magic spell so that the team's strength gets better. After moving the selected ally to a specific location, the ally will then receive a shield equivalent to 10% of the maximum HP (+ 1.5% for each level increase) and the effect will last for 3 seconds. This skill will not work on ally who is hiding or not seen. * Unique Passive: Magic Ambush - deals 204 (+33 each level increase) Magical Damage area when successfully moved [+ 40% Magic Power]. * Creates healing magic spells by randomly sprinkling 3 magic seeds onto the ground. Hero and Ally who take the magic seed will receive 421 HP (+44 each increase in level) [+ 60% Magic Power]. * Unique Passive: Slow Immunity - Being immune to slow for 2 seconds after taking the seed. * Drift into the air to search enemies and release a magic missile from top to bottom that can stun enemy for 2 seconds and deals 336 (+101 each level increase) Magical Damage area [+ 50% Magic Power]. As long as the hero drifts, the hero can cross the wall and the enemy cannot disappear / hide from coverage area of hero skills. * Unique Passive: Spell Breaker - Disables enemy spells for 2 seconds. The thing is, his every skill has passive. This is very unique and with his skill set it suits well. Please submit this to in game cs as well.